Are you eyeing Apple’s latest 10.5-inch and 12.9-inch iPad Pro models? 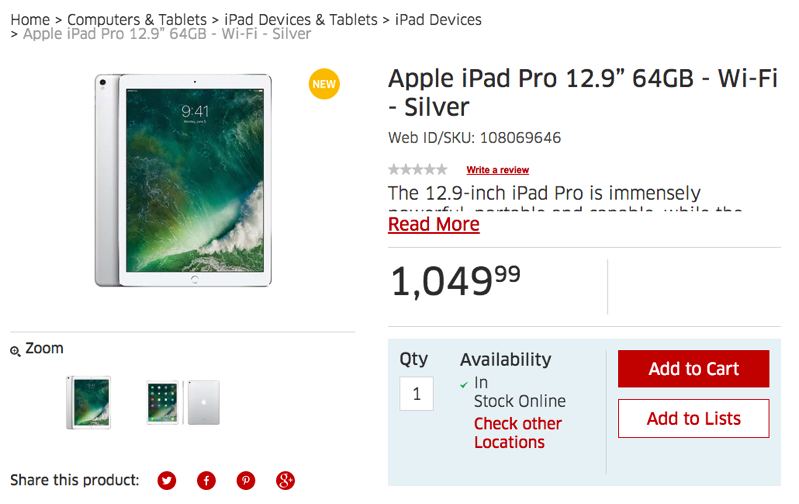 If you’re looking to save on these new iPads, you can do so at The Source if you have a Goodlife Fitness membership (which is part of their Partner Savings Program). If you want to save an additional 2%, sign up for eBates and get cash back. We’ve seen some pretty awesome savings on AirPods and BeatsX headphones at The Source, by using the PSP program and combining the $25 off newsletter coupon (which doesn’t apply in this case). While these savings aren’t exactly huge, they’re decent considering Apple’s newest iPad Pro models are less than a month old.